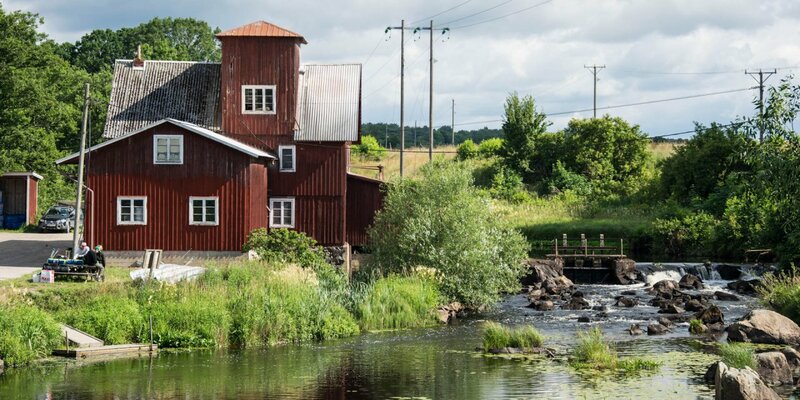 The Baggeboda Såg- & Skvaltkvarn consists of two historic watermills – a sawmill and a flour mill with a horizontal water wheel. The unlikely pair is located near the lake Halen, around 5 kilometers west of Olofström. 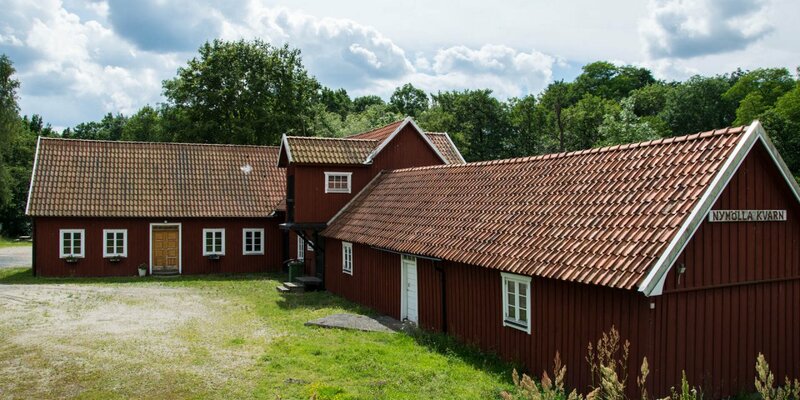 Despite the somewhat hidden position in the forest, the two mills of Baggeboda Såg- & Skvaltkvarn are quite easy to reach, as they are only about 150 meters away from a small parking spot at a gravel road. The older of the two mills is the smaller mill with the horizontal water wheel. The exact age of this flour mill is not known, but old documents show that it has already existed in 1764. The mill has only a small grinding wheel, which is driven directly over the vertical axis of the waterwheel. By raising or lowering the axis, the degree of grinding of the grain can be adjusted. 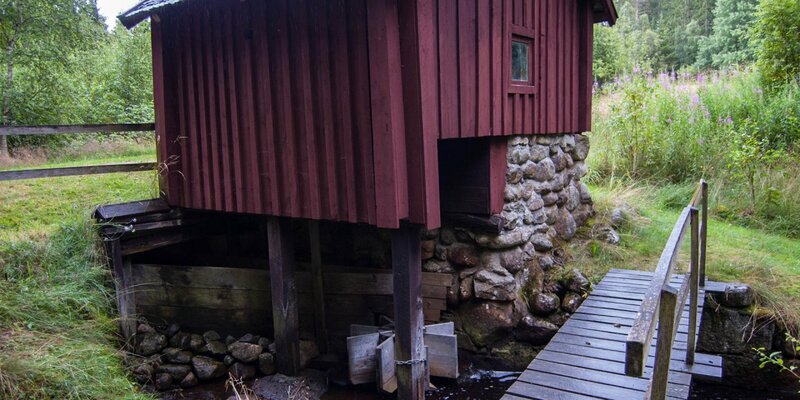 The larger building houses the sawmill, which was built around 1806 and is powered by a vertical water wheel. At first, the mill had only a single saw blade, which was then replaced by a seven-blade saw with reciprocating blades in 1875. This made it possible to saw a whole tree trunk into single boards in one working step. The water power is supplied by a small creek, which was transformed into a masonry mills' channel. For the operation of the small flour mill, smaller amounts of water were sufficient. The sawmill was generally operated in the winter months, when the creek led sufficient quantities of water to drive the larger mill wheel. The position of the mills in the vicinity of the lake was deliberately chosen because the widely branched Halen was used as a transport route especially for the wood. The logs and the sawn timber could be transported by large barges or with sleds over the frozen lake in the winter. 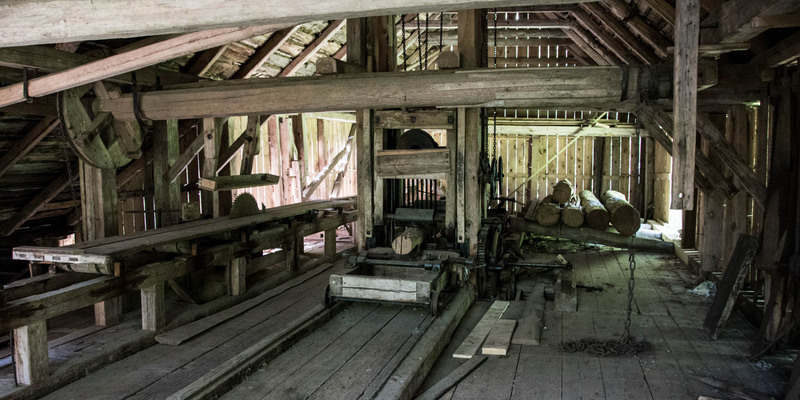 Both mills are completely preserved in its original state, and especially the sawmill gives the impression as if the work just pauses. The whole area is a little bit overgrown and does not seem as if a lot of visitors get by, which actually boosts its attractiveness.